We are God's beloved! The faces and stories in these pages capture a very particular collection of people from one local church family, but they reflect more universally the dignity, mystery, and uniqueness of all humankind - men and women created in God's image. C.S. Lewis said, "There are no ordinary people." 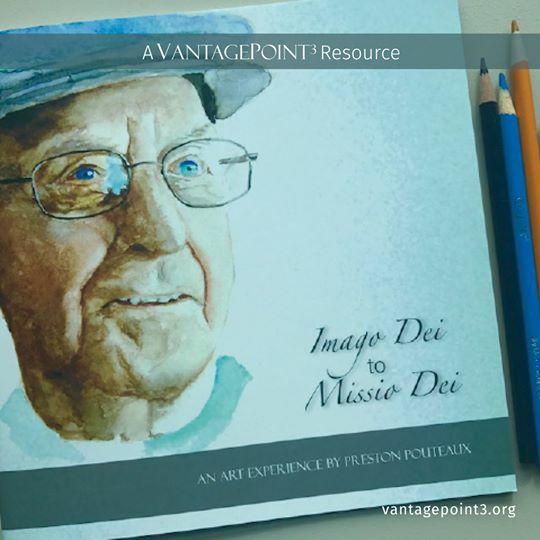 And until we begin to embrace this reality we will not be fully freed up to share in God's mission in the world, reflecting God's creative and reconciling presence in our communities; hence the title of this piece, Imago Dei to Missio Dei. You can buy Preston's first book from Vantage Point 3 here.